Recycling has arrived in Haiti. 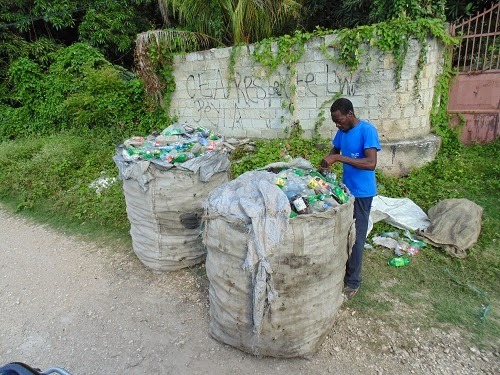 Plastic bottles are being collected in neighborhoods and gathered in spots along the roadside to be picked up by trucks and taken to Port au Prince. They are put on ships and sent to China for recycling. This is a very good thing for the country, as plastics have inundated the countryside. There is very little garbage pick up - in fact most of the country doesn't have any at all. With a population of ten million people, this is a very big problem and recycling is a good solution to part of it.